This list, written out in this instance by barrister and writer Jonah Barrington, circulated in a number of manuscript copies in the early-nineteenth century. (Just one page of nineteen is shown here.) On one side of the page are the names of members of the Irish parliament in 1799. On the other are the rewards they received for voting in favour of the Act of Union, which abolished Ireland’s independent status and created the United Kingdom of Great Britain and Ireland. Richard Hare, put two members into Parliament, and was created Lord Ennismore for their votes…Colonel Heniker, a regiment, and paid £3,500 for his seat by the Commissioners of Compensation…got a peerage;…George Hatton, appointed Commissioner of Stamps; J. Hutchinson, a general, Lord Hutchinson; Hugh Howard, Lord Wicklow’s brother, made Postmaster General; William Handcock, Athlone, (an extraordinary instance; he made and sang songs against the Union in 1799, at a public dinner of the Opposition, and made and sang songs for it in 1800); he got a peerage…Hon. G. Jocelyn, promotion in the Army, and his brother consecrated bishop of Lismore. The decision to move rapidly ahead with a full union was London’s response to the violence of 1798 and to the continuing war with France. Prime Minister William Pitt imagined the union as the only way to draw Catholics into loyalty—a matter of increasing urgency given that one-third of the British army was Irish. The lure was to be Catholic emancipation and the abolition of an exclusively Protestant and generally reactionary Irish parliament. At Westminster, Irish playwright and radical Richard Brinsley Sheridan attacked British treatment of Ireland. Pitt, remarkably, conceded that British policy ‘tainted and perverted by selfish notions treated Ireland with illiberality and neglect’. The implication was that union would prevent the ascendancy from pursuing that ‘selfish’ interest. Meanwhile, the Irish Catholic bishops secretly adopted resolutions in favour of accepting state salaries for clergy and a government veto on the nomination of bishops. But would the Dublin parliament abolish itself? 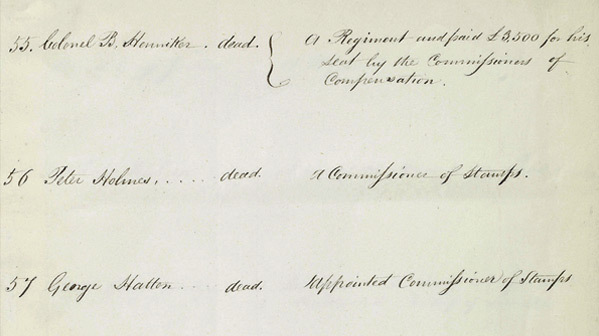 In January 1799 the chief secretary concluded, in the face of a hostile Irish House of Commons, that ‘the measure could not be proceeded with until the mood of the country changed’. In March many Orange lodges passed resolutions against the union. Faced with such opposition, the government resorted to wholesale bribery: the secret service was limited to expenditure of £5,000 domestically but spent £32,336 in buying votes for the union. On 6 February 1800, the House of Commons in Dublin voted for union by 158 votes to 115. On 1 August the Act of Union became law, to come into effect on 1 January 1801. Oliver MacDonagh called it ‘the most important single factor in shaping Ireland as a nation in the modern world’. Officially, the two islands now contained ‘one people’. It was hoped they would enjoy equal treatment under the law.